HomeResearchIt pays to have a hard shell up here! I’ve recently returned from my first visit to my field site here in South Africa, the Ndumo game reserve. This place is truly incredible and I feel extremely privileged to have the opportunity to call this wonderful piece of wilderness my “workshop/office” for the next couple of years. On saying that I feel a bit envious of the people who just get to visit it and explore it at leisure. After only visiting once, I have had to reconsider many of my original ideas. Nonetheless, I’d never change Ndumo even if given the chance so the challenge is part of the fun, I guess. To begin with, what am I doing up here? That is partially explained in the title. I am studying the two known species of freshwater terrapin up here. 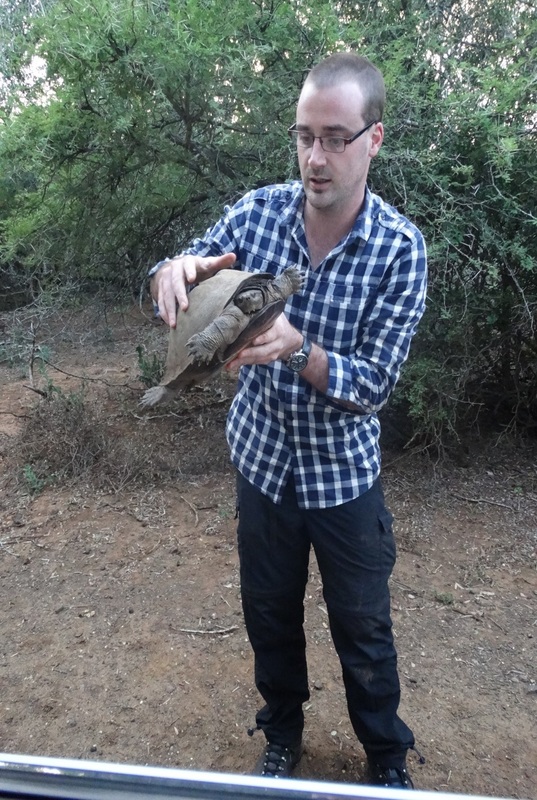 I say known as there could be other southern African species present — that’s how little work on terrapins in the reserve has been done to date, nothing really. The two species found here are the helmet terrapin and the serrated hinge terrapin. 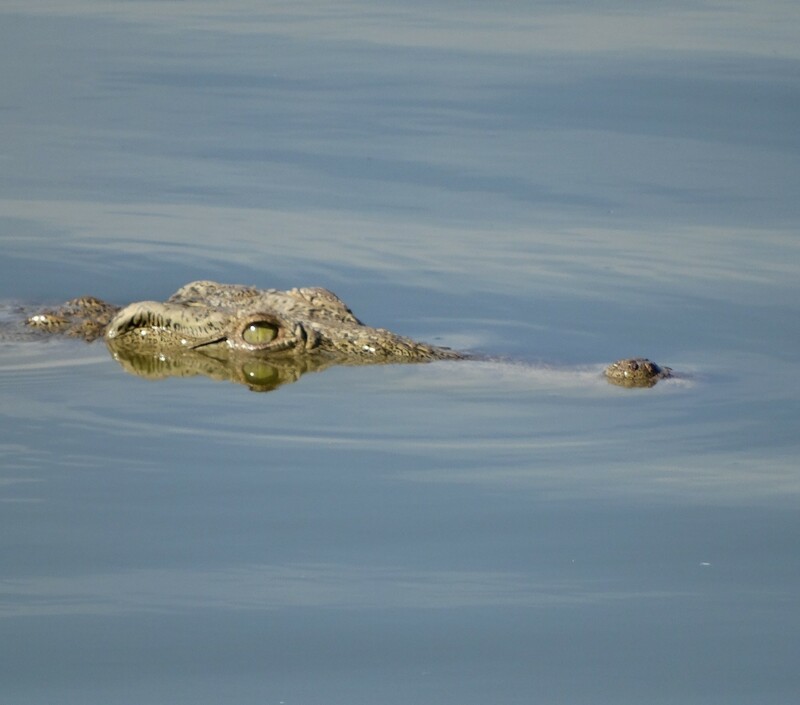 I have been regularly told for the past two months that Ndumo is one of the best strongholds in South Africa for wild hippo and Nile crocodile. As a general reptile nut I was delighted to hear about the crocodiles without even thinking of the project. A simple switch in my brain went off to the word “crocs” which always triggered a similar response of “excellent!” or just plain “yay!!”. I have to say though, that hearing about this and actually seeing it was a completely different story! Even though I was regularly told this, nothing prepared me for the sheer amount of crocodile and hippo! 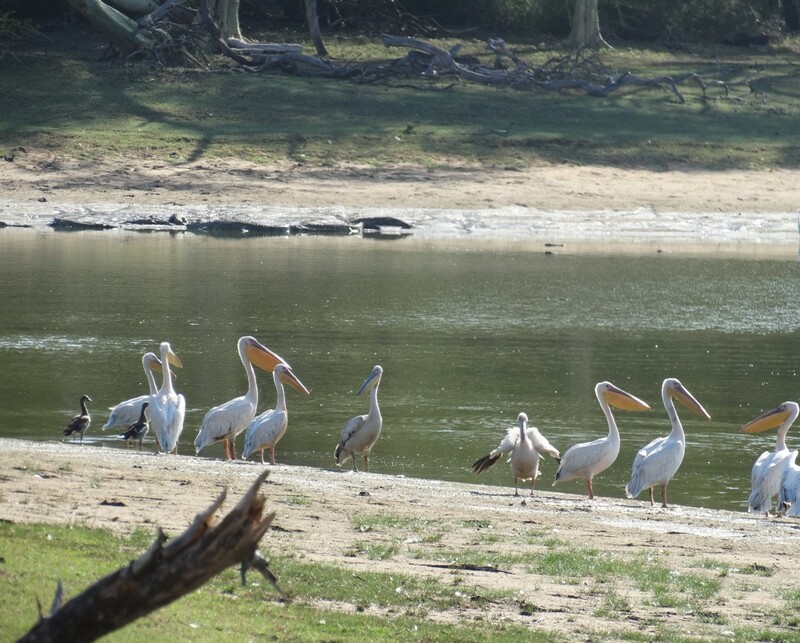 Ndumo is a reserve managed by the Ezemvelo KZN Wildlife group. All of the staff and rangers I have met and worked with so far have been incredibly encouraging and incredibly helpful. Ndumo by South Africa size is considered “small at about 102km square”. As an Irish person however, this place is huge, considering that Kruger national park is about the size of Belgium! Ezemvelo KZN manages the reserves in the province of KwaZulu Natal. Ndumo is roughly 450km from Pietermaritzburg where my university is based, and just 3km from the Mozambique border. Ndumo is a birder’s paradise with the reserve recording more than 430 bird species. For the size of the reserve this is the highest concentration of bird species to be found anywhere in South Africa. 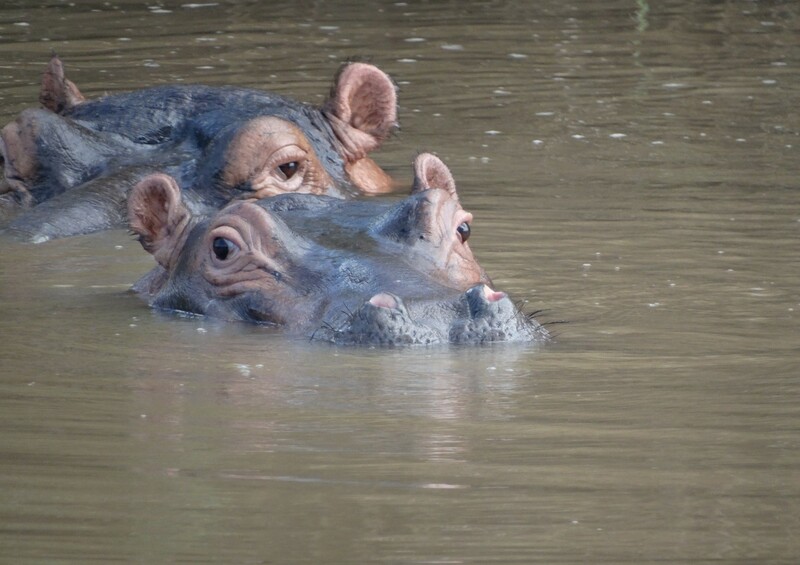 As well as birds, hippos and crocs, Ndumo is famous for its wetlands and pans (SA for lake is pan and they are permanent or temporary features). The previous largest freshwater pan known as the Banzi is now actually part of one of the two major rivers which come through, creating a strong flow through it. The second largest pan known as the Nyamithi is actually saline! This is due to underground saline water upwelling through the pan bed. Depending on the amount of rainfall during the year the salinity will change in the pan ranging from estuarine to almost sea levels. I find this really interesting as all the staff and rangers I spoke with said they find the terrapins in the Nyamithi just as frequently as they do any other pan. Unfortunately Ndumo is also going through its worst drought in 12 years. One of its permanent pans, the Shokwe, is nearly dry and according to most staff and rangers I spoke with, it will be dry by the end of this month, unless we get some major rainfall shortly, fingers crossed!….. A Irishman praying for rain in March is a crazy thought. One thing that surprised me about Ndumo based on my tiny experience of SA reserves is that there is virtually no grassland to speak of. It is all extremely thick bush and tree habitat. I am concerned that this will decrease the reliability of certain types of data collected; just another bridge to cross I suppose. So finally, Ndumo will be a bigger challenge to work in than I originally thought, but a challenge I am extremely keen to take! To end on the hard shelled individuals themselves, the serrated hinge terrapin is actually Africa’s largest hard shelled terrapin (the Nile soft-shell terrapin being the only larger species). This animal by terrapin standards is very big indeed, with record sizes of 40+ cms in shell length and weights of 9kgs being recorded. On Tuesday morning around 6am in the 4×4, slowly driving between the Banzi and the Nyamithi with a colleague, Camille Fritsch (who is studying the hippos) and I were both scanning the pan perimeters. Eventually Camille shouts “man there’s a big tortoise on the road!” He braked and I saw what to me looked like a boulder darting across the road and I jumped out of the jeep after it before it disappeared into the bush. When I caught it I immediately knew it wasn’t a tortoise as its shell was far too flat and it was way too big to be a helmet terrapin. It was a big female serrated hinge terrapin! This was the first time I had seen and handled my target species! I was over the moon and Camille just thought its head resembled an alien’s. These terrapins live through droughts, with hippos and crocodiles, surviving fires, human encroachment and the impacts of climate change. They have been present on earth far longer than us and hopefully will be with us a lot longer. I feel Ndumo may be a challenge to work in but these little guys comfortably call it home and thrive in it. We’ve a lot to learn from terrapins and the first thing I’ve learnt from them so far is that it pays to have a hard shell. 8 Comments on It pays to have a hard shell up here! I’m looking forward to you showing me around the Ndumo reserve! haha it’s amazing work site right?! It isn’t the most accessible place though unfortunately. Hopefully we get up there though, if not 100% St Lucia one of South Africa’s best wetlands reserves you’ll see everything there and is closer to Durban and more tourist friendly. Who know’s though we could try squeeze in both! We’ll squeeze it in sometime between hippo spotting in St. Lucia and trekking in the Hluhluwe-iMfolozi Park! haha hopefully! Great to see your researching into the area! I can’t wait to visit Hluhluwe-iMfolozi myself. One of the oldest proclaimed nature reserves not just in SA but on the entire continent! It’s a incredibly diverse area and a biologists dream basically! I of course meant Pink-backed, not banked. This is way better than a brick & mortar eslbitashment. Haha! God dam it birds are tricky! Thanks though Martyn I’ll correct it now. To the proper name great white pelican thanks.